[EDI reporters Lancy Zhang and Carol Peng report from Shanghai] On June 17th, EDI Media Inc., the organizer of the Chinese American Film Festival (CAFF) and the Chinese American TV Festival (CATF), held the second press conference for the 14th CAFF & CATF at Crowne Plaza Shanghai Silver Star Hotel. Chairman of CAFF and CATF and Chairman of EDI Media Inc James Su; Vice President of China Alliance of Radio, Film and Television Zhang Pimin; Chairman of the Shanghai Cultural Development Foundation, Chen Dong, Director of the Shanghai Municipal Bureau of Cultural and Broadcasting, Yu Xiufen, Secretary of Shanghai Radio and Television Station Wang Jianjun, Deputy Leader of Shanghai Leading group of Great Literary and Artistic Creation Wu Xiaoming; General Manager of China Film Co. Jiang Ping; President of Shanghai Film Group Wang Jianer; Supervisor of Shanghai Culture, Radio, Film and Television Group Co., Ltd. Teng Junjie; Head of the China Film Promotion International Gu Guoqing; General Manager of China Film Co-Production Corporation, Miao Xiaotian; Vice Chairman of Radio, film and Television Alliance Yang Zhenhua; Honorary President of Hong Kong Director Union Wu Siyuan; President of Rudy Morgan Films Andre Morgan, as well as government officials from China and the United States, and guests from various movie companies attended the event to deliver a speech. The chairman of CAFF and CATF, and Chairman of EDI Media Inc., James Su expressed his thanks to Shanghai International Film Festival for this opportunity to share our announcements. In the past fourteen years, CAFF has helped Chinese and American filmmakers build a platform for cooperation. It hopes to continue contributing and to promote Chinese-American cultural exchange. Good films and television works are the carriers of culture and culture is the backbone of a nation. This year marks the 40th anniversary of China’s reform and opening up. We will launch a special unit called “A Wonderful 40 Years.” In this unit, the organizing committee will grant a special award, the “International Influencers of Chinese Culture”. We hope to continue to bring Chinese culture to the international stage through film and television works to let the world understand the great Chinese culture. Vice President of China Alliance of Radio, Film and Television Zhang Pimin spoke at the conference, saying that CAFF had entered its 14th year and in these past years CAFF has made tremendous contributions to the cooperation and development of the film industry between the United States and China. He sincerely wished for the success of CAFF. Chairman of the Shanghai Cultural Development Foundation and Director of Shanghai Oversea Culture Research Center Chen Dong said: Film is a dream-making thing. CAFF has built a great bridge to show the world and Chinese aesthetics. He hopes that people throughout the world will pay more attention to the achievements of Chinese aesthetic art, vision and result. Director of the Shanghai Municipal Bureau of Cultural and Broadcasting, and Vice Chairman and Secretary-general of the Shanghai International Film and Television Festival Organizing Committee Yu Xiufen, said: It is a pleasure to meet again in Shanghai during the Shanghai International Film Festival. 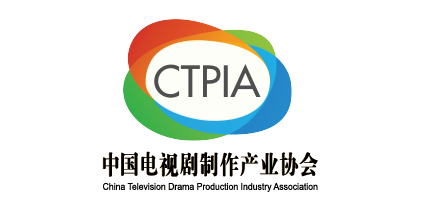 For fourteen years, CAFF and CATF have made active efforts and contributions to promote China’s film and television works and Chinese culture to the world. CAFF and CATF organizing committee held today’s press conference during the Shanghai International Film Festival and added to the glory of Shanghai International Film Festival. Secretary of Shanghai Radio and Television Station Wang Jianjun, said: Chairman James Su is very innovative and has discovered opportunities as the Chinese film industry has developed and prospered. Chairman Su has made great contributions to the development of Chinese culture and the exchange of Chinese and American cultures. He sincerely wishes that EDI Media Inc. will flourish and CAFF & CATF will continue to thrive. President of Shanghai Film Group Wang Jianer said: It is an honor to attend the press conferences of CAFF & CATF representing Shanghai Film Group. 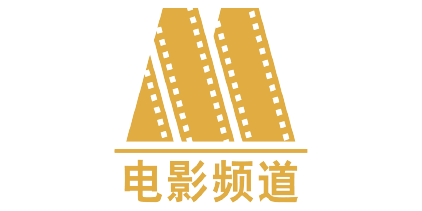 Thank you for the care and support of Shanghai Film Group over the years. 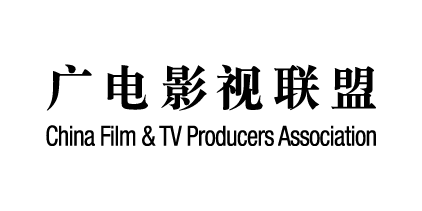 Shanghai Film Group and EDI Media Inc. have always had in-depth cooperation. EDI Media Inc. has given us support in many aspects. This year, we also have a number of works that will participate in the 14th CAFF & CATF and we look forward to achieving good results. Co-organizer of 2018 CAFF & CATF Film Market and Summit, General Manager of China Film Co. Jiang Ping, said: CAFF has established a very good platform for cultural exchange between China and the United States. Most of the guests present became friends because of the platform of CAFF & CATF. This platform has made their work shine. 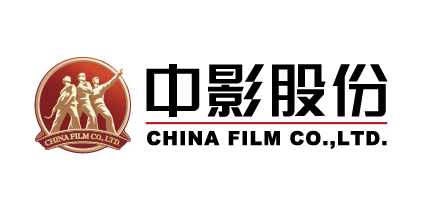 Here, on behalf of China Film Corporation, I would like to wish the 2018 CAFF & CATF a great success! Co-organizer of the 2018 CAFF & CATF Film Market and Summit, co-organizer of the “Micro Film Unit”, Head of the China Film Promotion International Gu Guoqing delivered a speech. Co-organizers of the 2018 CAFF & CATF Film Market and Summit, Vice Chairman of Radio, film and Television Alliance, and President and CEO of New Culture Group Yang Zhenhua delivered a speech. General Manager of China Film Co-Production Corporation, Xiaotian Miao delivered a speech. Every year, the Chinese American Film Festival receives approval from the Film Bureau to present the “Most Popular American Film in China Award” to the Hollywood studios in the United States. Every year, an increasingly amount of well-known international film and television companies participate and support CAFF & CATF. 2018 is the 40th anniversary of China’s reform and opening up, and is also the 60th anniversary of the beginning of Chinese TV dramas. 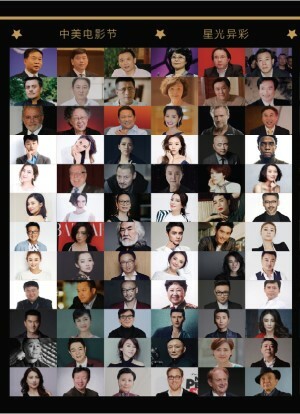 The 14th CAFF & CATF organizing committee have set up a special unit of “A Wonderful 40 Years” and a special award “International Influencers of Chinese Culture”, to encourage the participation of film and television works of various subjects. These works also have the opportunity to be broadcast on the “A Wonderful 40 Years” special program on GETV, allowing more American audiences to experience and ponder the essence of Chinese film, and television works in 40 years and to spread Chinese culture. From left: Vice Chairman of China TV Drama Industry Association Ma Runsheng; ecretary General of Shanghai Broadcasting Film and TV Production Industry Association Yu Zhiqing; Deputy Chairman of Shanghai Leading Group of Great Literary and Art Creation Wu Xiaoming; Supervisor of Shanghai Culture, Radio, Film and Television Group Co., Ltd. Teng Junjie; Secretary-general of the Shanghai Distribution Association Jin Hui; Deputy General Manager of the Changchun Film Group Bao Shenghua all expressed their wish for the success of the 2018 CAFF & CATF! From left: Deputy Director of the Chinese Culture Promotion Association Chen Qian; General Manager of Beijing Xuezhimeng Film Group Gao Jun; East Movie Channel Director of All Media Shi Zhiwen; CCTV4 Project Director Wei Lan; Vice General Manager of SMG Wu’an Spread Co.Ltd. Zhou Yu all wish the success of CAFF & CATF! During the Press Conference, many film and television stars and well-known artists from Shanghai also sent their warm wishes. CAFF Organizing Committee member jointly expressed their appreciation. As one of the official activities of Shanghai International Film Festival, CAFF organizing committee announced at the press conference the first batch of Chinese films and TV series enrolled in the 2018 14th CAFF & CATF including: Operation Red Sea, Youth, Porject Gutenberg, Genghis Khan, The Secret Of Immortal Code, Explosion, Bangzi Melody, Happiness Is Coming, The Ex-File: The Return of the Exes, A or B, Love Education, Beautiful Accident, My Pet is an Elephant, Big Ear Tutu: Food Adventure, Miser, Legend of the Naga Pearls, I Am a Doctor, 1st National Gift, Gladiators, Peace Hotel, A family has children in the First Place, Suoma Blessing, National Day of Life and other film and television works that will be presented in Hollywood. This year’s CAFF will continue to set up units for documentary, drama, micro-movie etc. To register, please visit www.cafilmfestival.cn to download the registration form. For more information, please call 13917142182 or email info@edimediainc.com. 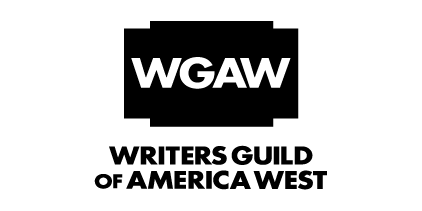 The 2018 CAFF & CATF will be held from October 27th to November 30th, with a month long of film-related events, seminars and over 200 screenings in Hollywood, Los Angeles, San Francisco, Dallas, Las Vegas and across America, to provide a broader platform for the cooperation between the Chinese and American film and television industry. 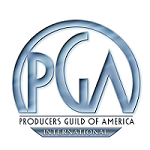 On October 28th, CAFF & CATF Welcome Gala will be held; on October 29th, CAFF and CATF Summit and Film & TV Market, co-organized with Producers Guild of America (PGA), the Writers Guild of America West (WGAW), the China Film Group Co., Ltd., Radio, film and Television Alliance, and the China Television Production Association; CATF Golden Angel Awards Ceremony will be held in the evening; On October 30, CAFF Golden Angel Awards Ceremony will be held, and China Film Promotion International will continue to co-organize the “Micro Film Unit” with CAFF Committee; on October 31 CAFF and CATF Outstanding Participation in Film/TV Exhibition will be held, to build a platform for cooperation between the Chinese and American film and television industry. 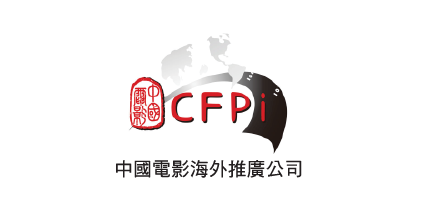 2018 CAFF will hold a series of professional academic forums and one-month exhibition in major American film companies, universities and museums in the United States. 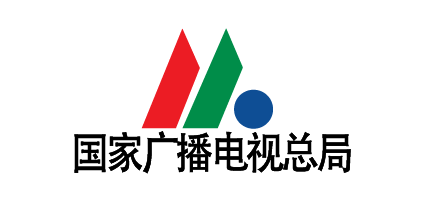 The Chinese American Film Festival (CAFF) is supported by the State Film Bureau, State Administration of China National Press, Publication, Radio, Film, and Television (SAPPRFT), Producers Guild of America (PGA), Writers Guild of America West (WGAW) and the Embassy of the People’s Republic of China in the U.S. CAFF has received letters of recognition signed by two Former U.S. Presidents, Obama and Bush. CAFF has also been included in the 112th Congress, “Congressional Record of 157 No. 194 document”, which praised the Chinese American Film Festival for promoting cultural exchanges between U.S. and China with a high level of dedication, which was also written into the American history. In the span of thirteen years, China Film Group, Shanghai Film Group, Eight One Film Studio, Central New Film Group, Changchun Film Group, Tianjin North Film Group, Pearl River Film Group, Xiaoxiang Film Studio, Jiangxi Film Studio, Yunnan film Group, Guangxi Film Group, Bona film Group, Wanda Pictures, Huayi Brothers, Stellar Pictures, Hairun Pictures, LeTV Pictures, DMG, Seven Stars Entertainment, Da Sheng international from Xinjiang, Inner Mongolia, Heilongjiang, Guangdong, Shenzhen and over a hundred movie companies, have all gathered in Hollywood each year to take part in the Chinese American Film Festival, competing for the “Golden Angel Award.” Meanwhile, Producers Guild of America (PGA), Writers Guild of America West (WGAW), and American film studios such as Universal Fox, Disney, Sony, Paramount, Warner Bros. and other major Hollywood film groups, as well as many independent production companies have all placed great importance on the annual Chinese American Film Festival. 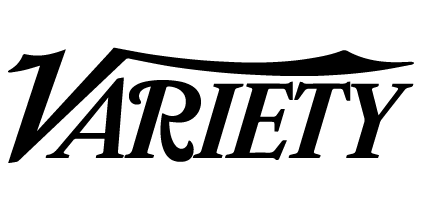 Since 2014, CAFF has been awarding the “Most Popular American Film in China” on behalf of the SAPPRFT to the major studios in the U.S. Each year there are over 300 Film & TV production companies that network and cooperate through the platform provided by the Chinese American Film Festival. There are over 500 outstanding films that have been screening, to an audience of over one million. G&E Studio in the United States will broadcast the entire Chinese American Film Festival Award Ceremony. Over 50 countries and regions from North America, Europe, and Asia will be able to witness the CAFF festivities.